Sembcorp Industries is expected to report 2018 net profit of S$321m and 4Q18 core net profit of S$77m. We expect most geographies to be stable, barring India and the UK. The former is expected to report a quarterly loss, while the latter is expected to report strong earnings on the back of UKPR. Divestments in 2018 totalled S$194m, or 39% of the S$500m divestment target over two years. We trim 2018 net profit forecast by 2% on lower Marine contributions. Maintain BUY; target price: S$3.20. Expecting 2018 core net profit of S$321m. SEMBCORP INDUSTRIES LTD (SGX:U96) is expected to report 2018 results on 21 February before market open. We are expecting core net profit of S$321m (+13% y-o-y), 2% above consensus estimate of S$315m. Our forecast has been revised down by 2%, largely on higher losses from Marine. Core earnings for 4Q18 is implied at S$77m (4Q17: loss, -0.4% q-o-q). A S$12m one-off divestment gain from the disposal of Wuxi Singapore Property Investment Co is expected in 4Q18, as well as potential gains from the sale of its South African water assets. share of additional provision for Sete Brasil from its marine subsidiary, SEMBCORP MARINE LTD (SGX:S51). Utilities: 4Q18 net profit of S$69m. The Utilities business is expected to report stable earnings for most of its geographies, except for India and the UK where we expect variations. Our expectations are for 4Q18 core net profit of S$69m (+74% y-o-y), with 2018 coming in at S$326m (+25% y-o-y). India: 4Q18 loss of S$18m. This would be driven by S$8m (+74% y-o-y) losses from SGI being in low wind season, and S$22m losses (-19% y-o-y, -9% q-o-q) at SGPL. These will be partially offset by SEIL which could report profit of S$13m (4Q17: loss, -10% q-o-q) on expectations that business insurance covers for the extended outage at Unit #1. PLFs for 4Q18 are expected at 52% (4Q17: 77%) and 83% (4Q17: 76%) for SEIL and SGPL respectively. Unit #1 was still down as of 14 Jan 19, with no guidance on planned restart. UK: 4Q18 profit of S$20m. UK Power Reserve (UKPR) will report its first seasonal profit under Sembcorp Industries and we expect S$15m. Despite this, UKPR is expected to break even for 2018 only. For the entire UK, a 4Q18 core net profit of S$20m is expected. Key question will be an update on a 1,700MW combined cycle gas power plant at Tesside that appears to be moving ahead in 2019. Total divestments reached S$194m for 2018. Sembcorp Industries has divested S$194m of assets in 2018, and was unsuccessful in listing the India business. In its strategic review, Sembcorp Industries had targeted S$500m in divestments over 2018-19 excluding the India IPO. This implies S$306m to be divested in 2019, and we look to management for guidance on whether this target remains intact. Final dividend of 4 S cents. Combined with the interim dividend, 2018 dividend is expected at 6 S cents, implying a final dividend of 4 S cents and payout ratio of 33%. Our expectation is slightly above consensus of 5.2 S cents. We expect 4Q18 results to have few surprises that will stir Sembcorp Industries share price. Weakness in the business outlook has largely been priced in. Questions will likely revolve around a review of Sembcorp Industries’ strategy and the status of the India IPO. Furthermore, we would question Sembcorp Industries on how it intends to fund future inorganic growth, given the slow pace of divestments and limited cash balance to support both the Utilities and Marine businesses. Funding of large projects may be an issue going into 2019 if divestments do not pick up, and we are somewhat concerned. Lower 2018 earnings by 2%. Our 2018 net profit forecast has been adjusted downwards by 2% to S$321m, largely on a 2% higher loss for Sembcorp Marine. Our earnings forecasts for 2019- 20 remain unchanged. Maintain BUY and target price of S$3.20. Our target price implies 8.7x 2019F PE for the Utilities business, with the Marine business valued at S$1.83 (see report: Sembcorp Marine - 4Q18 Earnings Preview ~ Expect Losses, Focus On The Brasils). While we are getting more concerned as to how Sembcorp Industries intends to grow moving forward, we maintain our BUY call on a valuation basis. 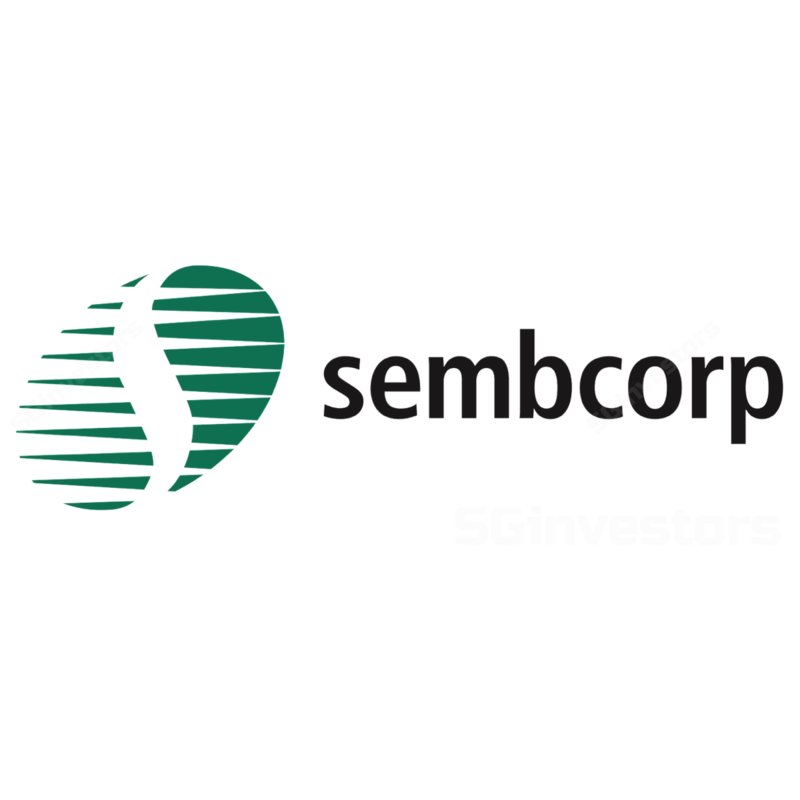 Current Sembcorp Industries share price implies a non-Marine 1-year forward PE of 7.5x, slightly below its long-term mean of 8.0x, and dividend yield of 2.4%.